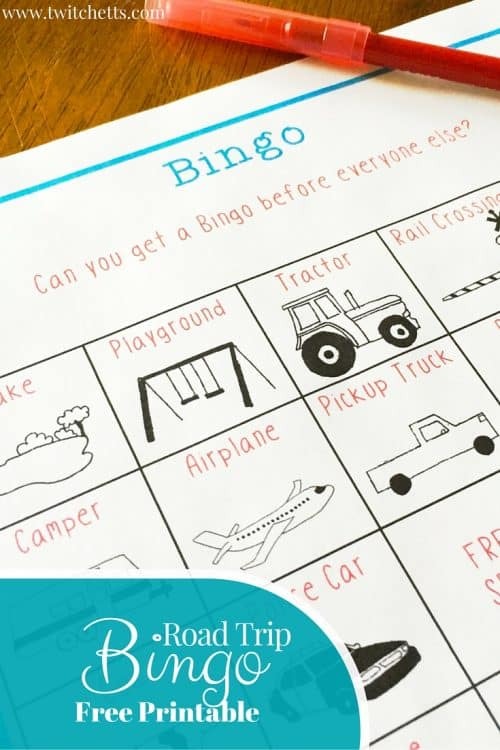 We wanted to share with you a free road trip bingo printable. 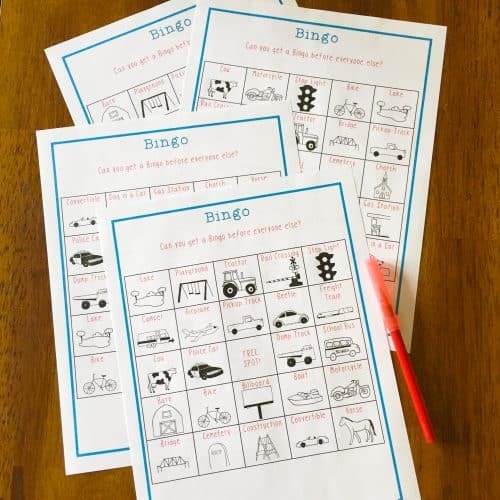 Travel games are fun for the whole family and hopefully, a little round of travel bingo will sneak a bit of fun into the car ride. Summer is beginning to creep up on us. And with it comes the family vacations. 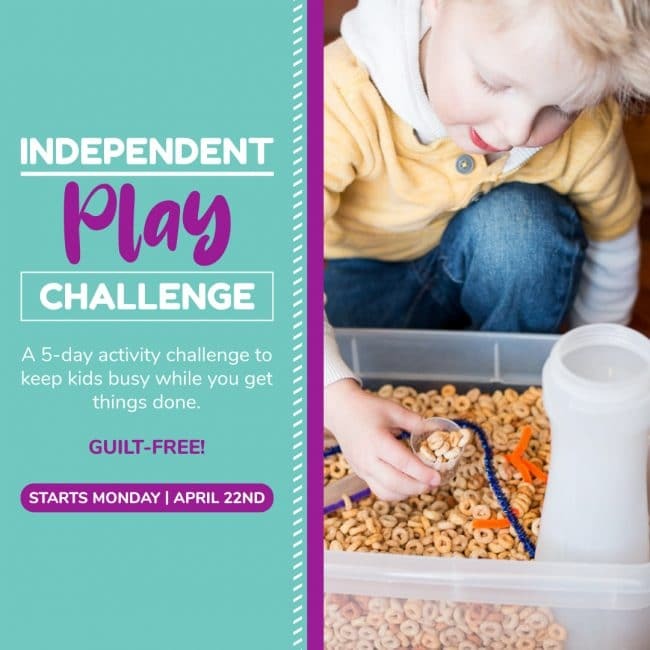 We look forward to all of the fun memories, the pictures, the Facebook updates, and the car rides…wait the car rides aren’t the fun part… The car ride is the long part that leads up to the fun part…and the even longer part after all the fun and it’s time to go home! It can be a challenge. Especially if you’re traveling for hours upon hours to get to an amazing destination. They’re anxious to get there and they are stuck. We’ve shared some of our tips for traveling with the toddlers. But what about the bigger kids? Sure you can toss them an iPad…but what happens when the battery dies!!! I will tell you what happens… “I’m Bored” starts to become the go-to phrase for the rest of the ride. 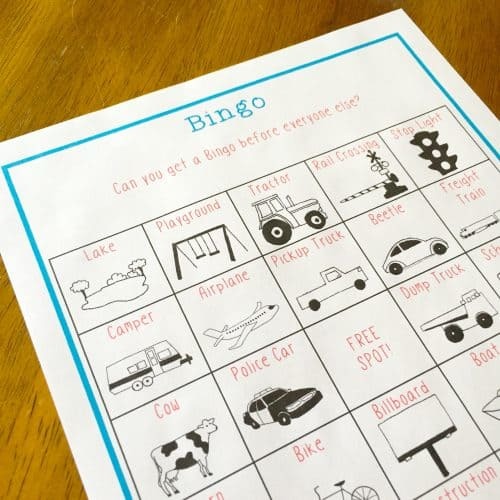 So give them these free road trip bingo printables! These bingo cards have been approved by J and are ready to hit the road. 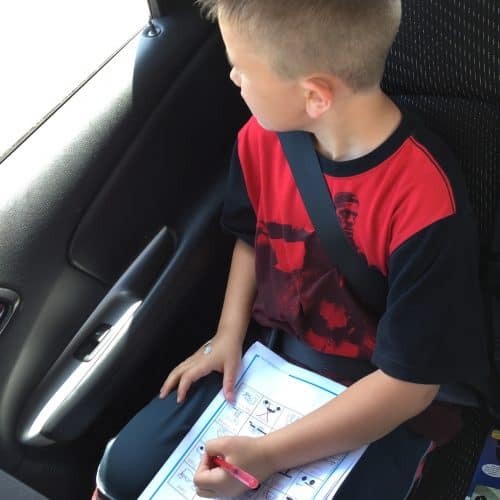 There are several different pages so that you can have a little friendly competition in the car. Plus, they are made with pictures so that some of the younger travelers can participate too. How do you play travel bingo? I’ve seen travel bingo played several ways. There is always your traditional Bingo. First one to get a row of 5 Wins! You can play in pairs. One person calls out what they see, while the other crosses them off the sheet. This might be helpful if you are traveling with a younger crowd. The whole car can play together as a team. Or it can be a race to the finish…who can cross off the whole board first. 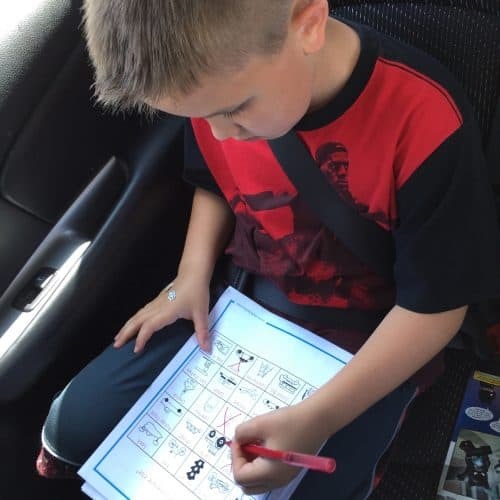 No matter how you play, a fun round of road trip bingo will help to kill some of the time trapped in the car. 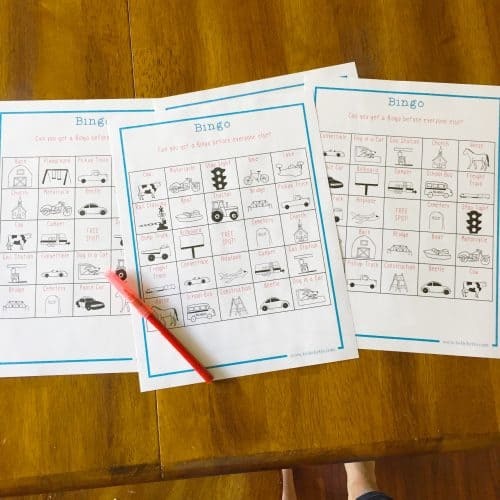 Get your Free Road Trip Bingo printables today!